John’s first job in media was with an advertising agency in Borås, Sweden. There he gradually built a steady flow of private illustration work and eventually was able to work full time as a freelancer. John has always enjoyed his commercial work and commissions for the creative challenges working to brief can present. His personal work allows him the freedom to express the quiet feelings and emotions he experiences in nature. 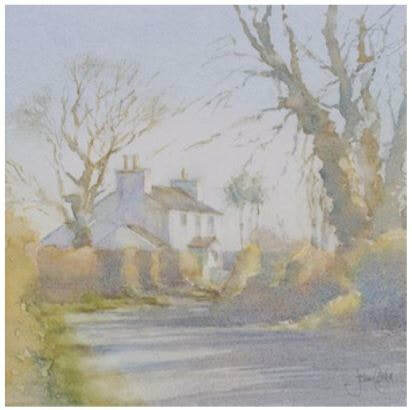 Of all mediums, John derives most satisfaction from watercolour painting, ideal for the subjects that lift and inspire him, beauty and moods in nature, flora and fauna, people and portraits, nostalgia in ruined buildings and rusty machinery, – these things attract him. The pleasure of putting brush to paper is important to John and he hopes it shows in his work.